Agitateur de la scène électronique française et internationale, Dj producteur remixeur reconnu, Chris Gekä (connu sous le pseudo The Henchmen) signe ses productions et remixes sur les labels les plus prestigieux tels que "Starlight Music", "Loudbit Records" en Italie, "Housesession Records", "S2G Productions", "Wormland Music", "Caballero Recordings" en Allemagne, "Spinnin Records" en Hollande, "Pacha Records" en Espagne. Ses tracks sont propulsées en tête des charts et sur de nombreuses compilations, soutenus par la crème des DJs internationaux tels que Roger Sanchez, Chuckie, Nicky Romero, Wolfgang Gartner, Olav Basoski, Umek, Antoine Clamaran, Sander Kleinenberg. Son nom fait le tour du monde, il entretient une actualité chargée et ses remixes pour Eddie Amador, Stefano Noferini, Ultra Naté ou Jessica Sutta des Pussycat Dolls l’aident à se forger une solide réputation. Ses sets énergiques, taillés pour les dancefloors, varient entre House, Tech House, Techno et lui permette de mixer dans les plus grands clubs à travers le monde. Son radio show "One Hour With Chris Gekä " est aujourd'hui diffusé sur les radios les plus célèbres en France et à l’étranger. Agitator of the French & international electronic scene, DJ producer remixer recognized, The Henchmen (know as The Henchmen) sign his tracks & remixes on the most prestigious labels such as "Starlight Music" in Italy, "Housesession Records", "S2G Productions", "Wormland Music" & " Caballero Recordings " in Germany, "Spinnin Records" in Holland, "Pacha Records" in Spain. His tracks are powered topped the charts & on many compilations, supported by the cream of international DJs such as Roger Sanchez, Chuckie, Nicky Romero, Wolfgang Gartner, Olav Basoski, Umek, Antoine Clamaran, Sander Kleinenberg. His name goes round the world, it maintains a constant current events and his remixes for Eddie Amador, Stefano Noferini, Ultra Naté or Jessica Sutta from The Pussycat Dolls help it to build up to himself a solid reputation. His energetic sets, built for the dancefloor, ranging from House, Tech House, Techno & allow it to mix in the best clubs around the world. 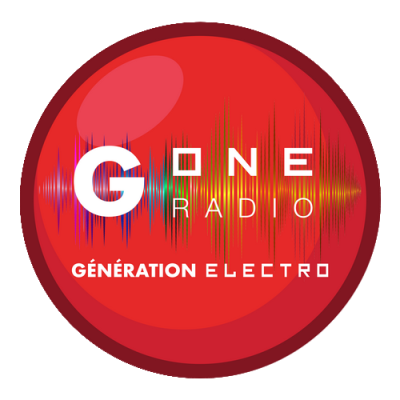 His radio show "One Hour With Chris Gekä " is now broadcast on radios most famous in France & abroad.